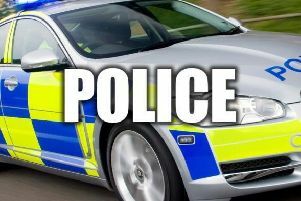 A 31-year-old Lancaster man has been urged to hand himself into police. Dean Guest, from Lancaster, is wanted by police in relation to a burglary, theft of a vehicle and four other thefts from differnet homes. Dean Guest, 31, is wanted by police in Lancashire regarding a number of matters. He is believed to have links to the Morecambe area. A spokesman for Lancashire Police said: "We need to speak with Dean Guest, 31, regarding a number of matters. "If Dean sees this, please could he be so kind as to attend Morecambe or Lancaster police stations." If you know where he is, contact police on '101' or 01524 596985.